It’s hard to believe that it’s already time to think about summer programs! We’re beginning the registration process for this year’s Summer Science and Arts Program (June 10 – July 18) at Learning Circle Preschool. The program runs Monday – Thursdays, 8:30 a.m. -12:30 p.m. with children coming either two days or four, bringing a lunch (peanut and hard nut free please!) The program is conducted almost completely outdoors, except when it rains. And the beautiful expansive playground is a cool and breezy place to play even on quite hot days. The program features an integrated arts curriculum with a focus on the natural sciences, art, music, and creative movement – with lots of time for story-telling, drama and puppetry, too. 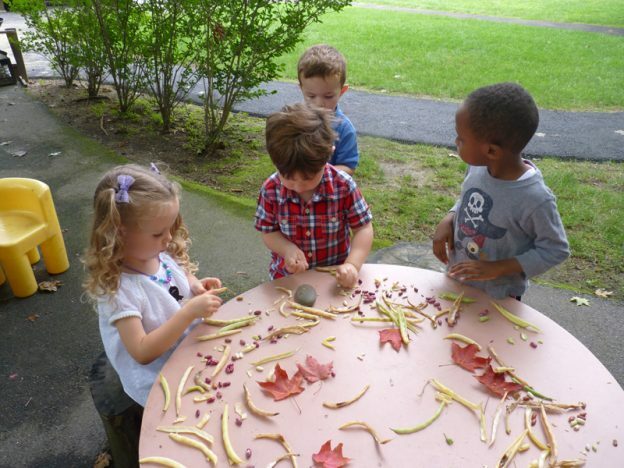 There are small groups every day, along with time for snack, free play activities, and outdoor play and exploration. The groups are organized with each child’s experience, development, and individual styles and preferences in mind. What does summer science look like? There’s a way in which everything young children do is science. 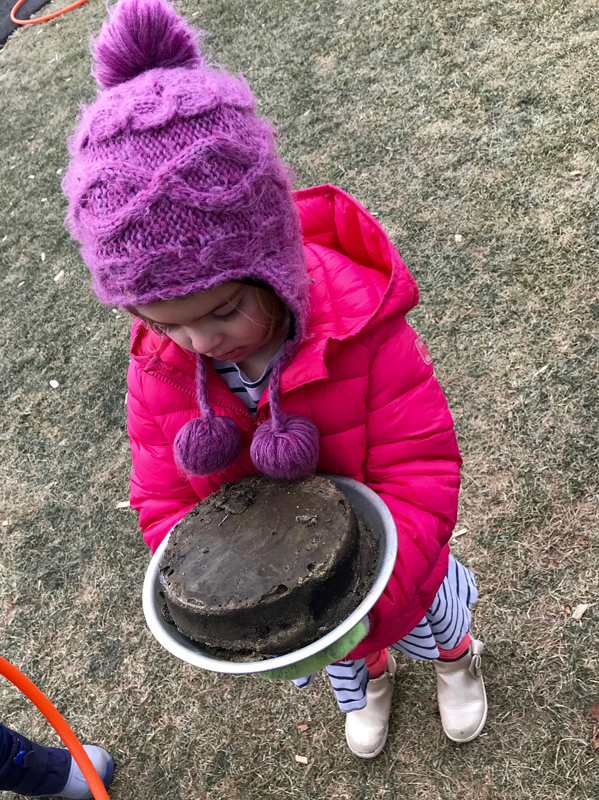 Using one’s senses to explore the environment, investigating how things work, expressing curiosity, asking questions, observing, and then integrating all that new information to make more, or new, sense of the world, are all central to how children learn and experience their world. Teachers can follow children’s lead, stimulate new thinking, encourage deeper considerations, offer new information and tools, suggest steps or approaches to try, and join in as children explore together. Questions posed to individual children or a small group with a problem to solve or a topic to consider:– Can we make waves in the water table? What is making those waves bigger? – What do you notice happening when we mix these ingredients in the “potion”? – What living things are we sharing space with when we use our playground? – How can we see the wind? – How can we move this ball faster (or more slowly) up or down the ramp system? – What do we know about…. Teachers find the best topics by setting up a stimulating environment indoors and outdoors, and then engaging with children in that space, watching and listening carefully to collect information on what seem the most meaningful to children. Then we make sure the right tools and opportunities are available for children to pose questions, make predictions, observe, document, reflect, and share. Here are some photos from last year’s program. 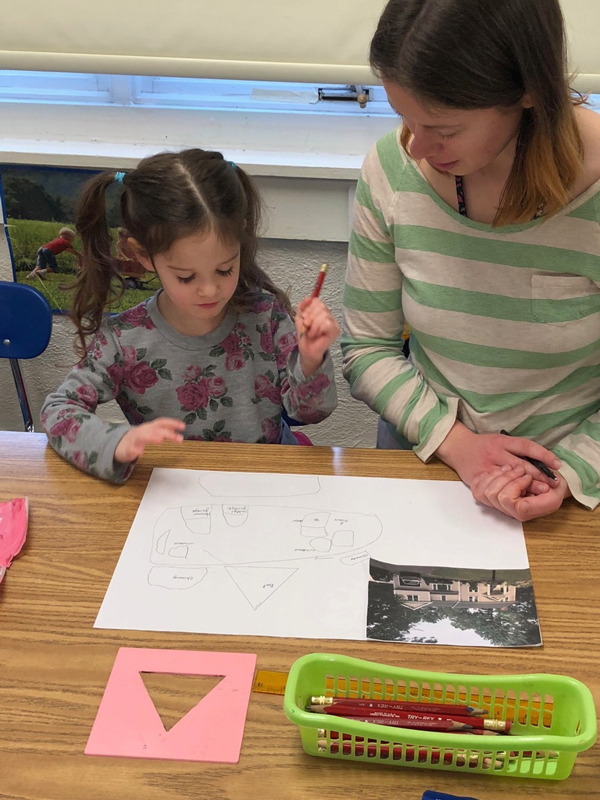 This entry was posted in Curriculum, Education, Programming and tagged curriculum, education, learning, preschool, science, summer on March 10, 2019 by Katrina Selawsky. We’re beginning the registration process for this year’s Summer Science and Arts Program (June 11 – July 19) at Learning Circle Preschool. The summer program features an integrated science and arts curriculum. 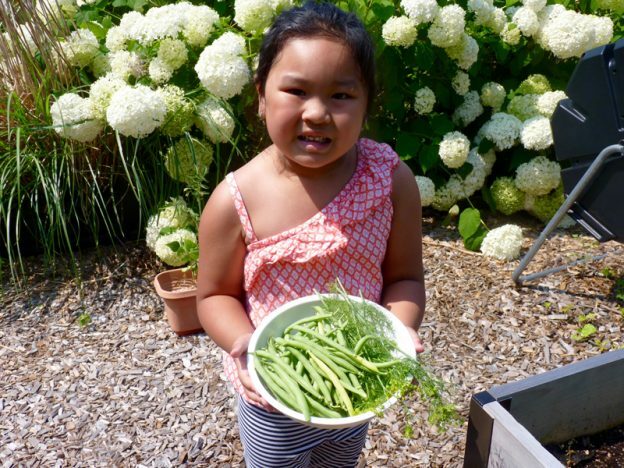 What does summer science look like? 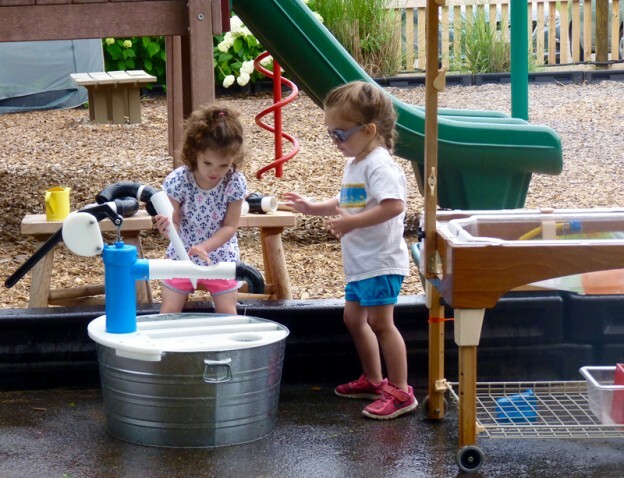 – Can we make waves in the water table? What is making those waves bigger? This entry was posted in Curriculum, Education, Programming and tagged children, curriculum, education, learning, preschool, science, summer on January 21, 2018 by Katrina Selawsky.